The Lodge on Echo Lake truly offers ‘one stop shopping’ for your special day! We host weddings from simple and intimate ceremonies to elaborate wedding celebrations of 200 guests. The Lodge on Echo Lake prides itself on personalizing every detail. We will work closely with you to make your special day a one-of-a-kind experience for you, your friends and family to enjoy. At The Lodge — the facility, linens, table and glassware, tables and chairs are all included in the per person price. 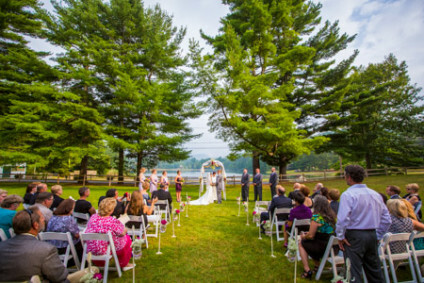 From the moment that you decide to hold your wedding at The Lodge on Echo Lake, our wedding expert, Kathy, will give you an overview and walk hand-in-hand with you throughout the entire planning process. Kathy also provides each couple with an extensive preferred vendor list (including clergy, photographers, florists, entertainment, hair and make up artists, bakeries, and transportation companies) who would be happy to assist you. You are not obliged to use any of the vendors on the list. Check out our Wedding Packages – The Lodge on Echo Lake offers a choice of wedding menu option designed to fit every taste and budget… our wedding team will work with you to ensure that your event perfectly fits what you are looking for. 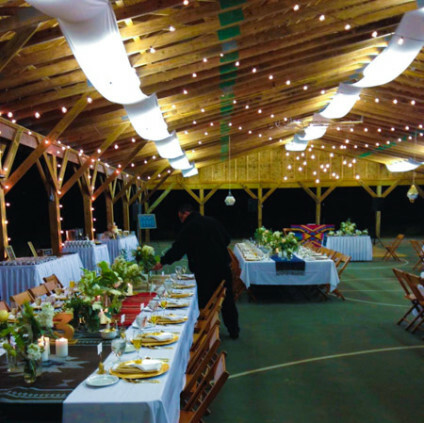 Don’t forget to check out all The Lodge on Echo Lake has to offer in terms of our breathtaking facility and all the little “extras” that will help make your wedding day truly special! So now, just relax, enjoy and get ready to make a lifetime of memories! Don’t forget to ask about our Friday and Sunday special wedding package pricing! Are you looking for a Destination Wedding? Let the celebration of your marriage be an unforgettable weekend for your family and friends. 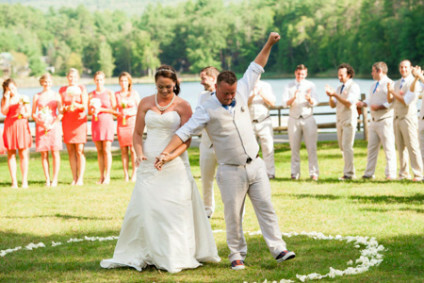 At The Lodge on Echo Lake, we specialize in destination weddings with the ultimate camp fun in one weekend. We can build a complete itinerary for your special day, including outdoor activities and relaxing events, all customized to meet your needs and budget! Make sure to Check out our Weekend Wedding Package! © The Lodge on Echo Lake. All rights reserved. Website by 829 Studios.